Adjusting your rack toms just got easier. With recent advancements in drum manufacturing and hardware design, everything seems to weigh more these days. From counter hoops to metal shells and lugs, more than ever, instruments are built to last. 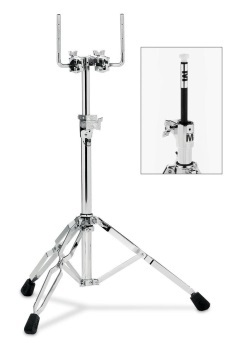 As a result, making a simple height adjustment on toms or snare drums has become a challenge. Enter, revolutionary new Airlift hardware. The secret is a pneumatic shock that effortlessly allows drums to float on a cushion of air for quick, effortless and exact adjustments every time.